Gov. 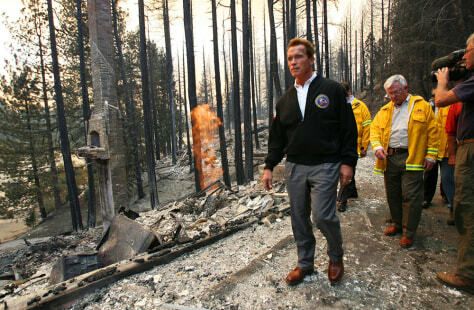 Arnold Schwarzenegger and other officials walk next to a burned home at Lake Arrowhead, Calif., on Oct. 23. Schwarzenegger used the crisis to emphasize at every turn that government was there to help relieve people's misery.